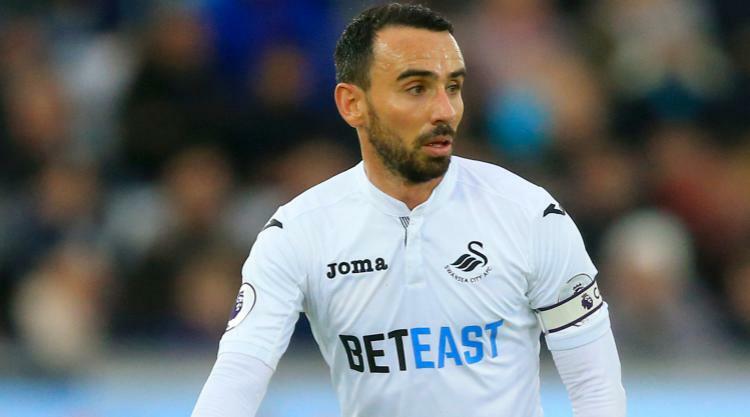 Paul Clement has backed Leon Britton to become Swansea manager one day. Veteran midfielder Britton joined Clement's coaching staff during the international break after Claude Makelele left to take over at Belgian club KAS Eupen. The 35-year-old is still available for selection, but Clement believes the move is a natural one with Britton in the twilight of his playing career. And asked if he saw Britton becoming Swansea boss sometime in the future, head coach Clement replied: "Why not? "He is a legend at this club - someone who has played over 500 games in 10 years. He has been a fantastic servant and this is the next step for him. "He has been doing his coaching licences at the FAW and he is at the A level standard at the moment. "So he is on the right path and it was something we felt he would be very good at. "Claude was very active within the dressing room and very good in one-to-one situations. "I was keen to appoint someone with a similar skill set, someone tight with the dressing room and with good inter-personal skills and knowledge of the game. Leon fits into all those categories." Swansea head to Burnley this weekend after the international break in the bottom two of the Premier League. Clement's side have won only twice in the league this season and lost their last four in all competitions. Those run of results have put Clement under scrutiny and Swansea's American owner Steve Kaplan will be at Turf Moor on Saturday. But Clement said Kaplan's visit had been planned for some time and nothing to do with Swansea's slide into the relegation zone. "I'm in regular contact with the owners," Clement said. "That's been the case since I've been at the club - win, lose or draw. "This trip has been planned for some time as it involves a Premier League meeting as well for owners and chairmen. "Steve will then be travelling up from London to Burnley to support the team." Swansea's previous game was a dismal home defeat to Brighton. But Clement lightened the mood during the international break with bonding sessions on the beach and in the bowling alley. "We have had the majority of the squad still here after the Brighton performance," Clement said. "Fortunately we were able to do some really good work and we did a couple of other things as well that was a break from the norm. "We went to the beach to do some training and went to ten-pin bowling after training to mix it up. "But the players are focused and I sense an upbeat environment ready to go into this next game."